ELON Musk’s electric car and energy storage company, Tesla, posted a loss of $675.4 million in the fourth quarter of 2017. The company posted a loss of $121m for the same period in 2016. Isn’t that a perfect case for taking suo motu action and asking Mr Musk what is going on? Those who have a deeper understanding of the technology Tesla works on would know that losses might not be a true indicator of a company’s health. The Obama administration provided Tesla with a $465m loan to work on its environment-friendly technology, and the company has paid back the principal amount as well as the mark-up. But had it been Pakistan, this could never have happened. Bureaucrats would have embezzled a sizeable portion of the loan even before disbursement and only some paltry amount would have been spent on actual technology. Even if spending had been scrupulous, a couple of media reports about the quarterly losses would have prompted a suo motu notice followed by a stay order, bringing progress to a complete halt. What does it take to turn a loss-making enterprise around? A lot of planning, a lot of hard work — and time. Yes, a lot of time. Pakistan Railways has been posting losses of billions and, recently, the chief justice asked the railways team to explain the losses. The example of former Indian Railways minister Lalu Prasad and the turnaround of the country’s railways that he accomplished during his tenure, despite being a layman, was cited. However, the fact is that even that was not an overnight transformation. A close analysis of Lalu Prasad’s transformation of the Indian Railways would reveal that many of the policies were already put in place by his predecessor Nitesh Kumar, and Mr Prasad — to his credit — ensured continuity. Impartially, the Railways has done well over the last few years. Over-simplification is a curse for better governance, especially when it comes to engineering and management issues related to a big enterprise like Pakistan Railways. There are a lot of things that must be considered before tarring everyone with the same brush. If we impartially analyse the indicators, Pakistan Railways has done well over the last few years. But we don’t want to see it. The civil servants who keep the wheels turning despite being paid peanuts are often treated like the biggest criminals in courts, be it the courts of the political kings or more conventional judicial courts. Why are they perpetually condemned? 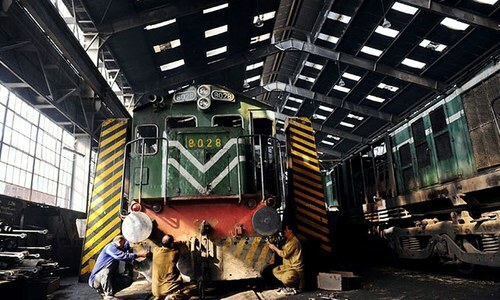 Can the management of Pakistan Railways go for a massive downsizing by laying off surplus employees? If it does, would there be another suo motu action? Can they sell railways’ land to generate revenue to fuel growth? 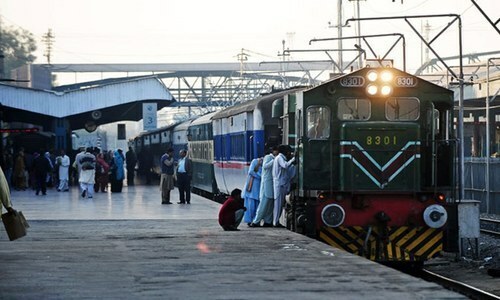 Can Pakistan Railways discontinue its traffic on less profitable routes and Eid trains at subsidised fares? Can the management focus on freight trains only, and pass legislation to use the railways for freight transport as overloaded trucks damage roads? The answer to all these questions would be ‘no’ and that is where the problem lies. Taking cognisance of the criticism of the sluggish pace at which our legal system dispenses justice, the chief justice recently clarified that framing laws to expedite the legal processes does not fall in the domain of the Supreme Court. It must be realised that the same limitation applies to other departments as well. The role of the media in reporting audit reports of government departments has been a bane rather than a boon. Sensationalism gets the better of facts. Audit objections are mostly procedural; a misappropriation of billions does not necessarily mean that it is corruption. If the auditors are not well taken care of, there is an audit objection looming. 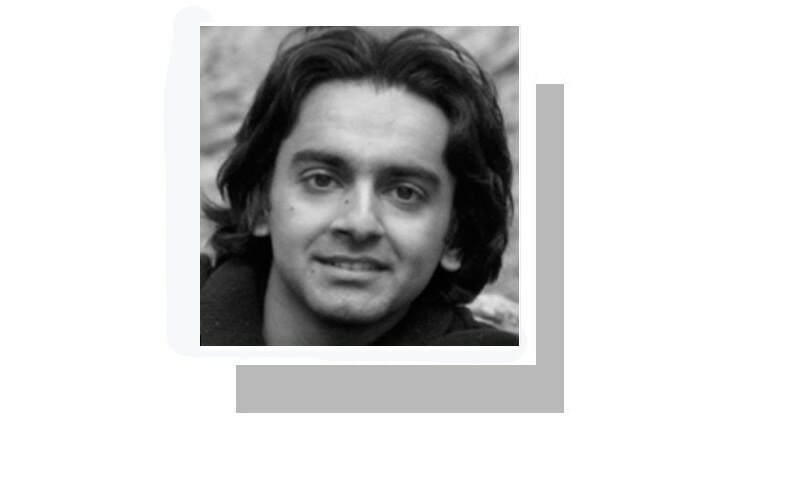 For example, if a department re­­ce­i­ves 10 new vehicles, then one must go to the director audit because otherwise all might be dec­lared unlawful by raising an audit objection. There is a need to disband the old-school audit department and hire independent firms for audit of big public enterprises as their processes are far more transparent, professional and timely. Till such time, audit objections should be taken with a pinch of salt. The operating ratio of Pakistan Railways has decreased progressively from 203.59 per cent in 2011-12 to 124.92pc in 2016-17, which is indeed indicative of things going in the right direction. Expecting an overnight turnaround shows a lack of understanding of the scale of the organisation. Can the judiciary clear the backlog of cases in couple of months? Lastly, the way sometimes very diligent officers from various government departments are treated in courts these days leaves very little incentive for the young aspirants of the civil service. Millennials are a different breed; they respect capability rather than authority. So, let us not disillusion talented individuals by portraying them as Gotham’s Batman. This is a very useful analysis done by Syed Saadat Sahib. I only intend to add that the civil services structure used to have a railway service of some sort during the British raj. Many young people fascinated by the sheer spread of the service would join it with an objective to serve the nation. Now, it seems, the tradition is done away with. We must create an avenue where in the young people should be able to access this 'poor man's transport' that we have inherited from the British times. I am alingned with the writer. Our civil servents are cream of pakistan and the interuption to their functions is affecting their role and capacity to serve the nation. The British built the Indian railways which were expanded after Partition. The British are a part of South Asian heritage, like it or not. Without calculus there would have been no locomotives. Newspapers were connected by telegraph keys, and the use of English allowed for a comprehensive Indian bureaucracy able to communicate in the same language. The British jump started a modern India. It didn't create itself. Most of the lot is corrupt in this country. A very very few and rare people are working honestly and diligently. You said not to tar everyone with the same brush but you can't white wash everyone with the same brush either. The argument goes both ways. Be it any department, they all are at financial loss and crumbling infrastructure. We don't have a rosy picture even in distant future. let the government to answer the many many facts related to this empire.it is not enough to say that we done better than before people as with this policy our country progress with the speed of ant. For bulk movement of people and goods, railways are the ideal mode. Pakistan neglected this sector from independence and now in democracies, you cannot move at speeds like China does. correction is slow in our countries. Finally got to read a sensible article, which put things into perspective. Ghulam Ahmad Bilor is responsible for the destruction of the Railways. Sir, PR is no Tesla. PR has accumulated losses of 60 billion in last 5 yrs and is on track to replace PIA in this category. Knowing the rent seeking behaviour of our bureaucrats, a third party independent audit as ordered for PR is not a bad idea. Well Said, Logical Approach with Practical Behaviour is Required. Theoretical audits, Suo moto will sabotage in this case. Correct view. My compliments to Mr Sadaat. Once audit is done,which will initiate soon then it will definitely tries to find the root cause of problem. No adopted system can work unless we fabricate our own. There is a store need to transform our railways on digital basis where systems are placed, where there are no proxy employees, where there is an accountability of even getting late for five mins like developed countries. What is average difference of planned arrival versus actual arrival? Our trains are still using discharging wastes on rail tracks even the day of today. Complete reform is needed. In my opinion two cases are not similar Nowhere in the world Airlines and Railways are making losses except for the reason of maladministration and mismanagement or corruption. Tesla electric car is a new scientific innovation and needs funds for further research and development whereas Pakistan railways has not received true honest and systematic managerial efficiency. Excellent article. Very useful and should be in must read list. Can't understand where Elon Musk fits in this narrative and why? Elon Musk is an entrepreneur and raises his own capital, works on his own ideas and strives to better things with cutting edge technology. He doesn't use any taxpayer money, and even if he does, returns it later. Pakistan Railway is a completely different case, all of it run of taxpayer money. The CJ may be overzealous in taking Suo Moto's, but where public money is involved, that has to be taken care of. And if there is nothing wrong, then what's to worry about? The Railway minister should be happy since it would provide him the chance to explain his achievements. As for the Audit reports, its a bit disingenuous of the writer (a former civil servant) to claim that these are just 'procedural' in nature. In fact, having worked with a few government departments, I can vouch for the fact that federal audit reports are excellent presentations of the mismanagement taking place in public sector. A silly analogy. Tesla is new technology and needs expensive research before it can be made profitable or even practical. Indian railways are a lot bigger and would need longer to bring under control. PR is using tried and tested ancient technology. There is also huge demand so should not be making losses at the rate they are. RS50bn takings with loss of RS35bn is not acceptable. restructuring and rationalisation are a must for any company even at the cost of jobs.You cannot run any business like a charity and hope to make a profit. How does the writer know all the posts are necessary and that they even exist. Railways department has been plundered by previous and current administrations. Sale of railway Land to cronies, lease of railway land at below market prices, ordering for sake of collecting kickbacks and hiring people based upon sufarish or kickbacks are few of the problems which continue to bring it down. I pray that we find honest people starting from minister to the lowest ranked employee and turn it around. The writer is a formal civil servant says it all. The reason why we are Asia's poorest is because of the civil lot who don't do their jobs properly and find some excuse to pass the buck. The ministers are a side show. Don't agree with the author on any of the issues he has said - look around you and show me the proof that your civil colleagues are performing professionally in any of the departments. We need someone with a stick to get everyone in line and I admire CJP for it. Good analysis. Keep the trains moving. Excellent piece. Nobody wants to go deep into the issues rather people want to create sensationalism. Saad has done well in the face of odds created by past negligence and corruption. Obviously, if things haven't changed in last 70 years, you shouldn't expect change in a few decades even. Modernization of technology requires funds, of which there's a serious crunch in Pakistan. Has any one demanded overnight turn around in the affairs of the Pakistan Railway? All the past ministers for railway or for that matter any other ministries, in the federal or provincial governments, have only employed without there being any vacancies, their own people and looted and plundered all the resources and revenues upon which they could lay their hands, never thinking that it is wrong and sinful of them to breach the trust of the people. To say that the turn around is required overnight is not correct but it could be a surprise for some who never thought that they will be held accountable some day. A very precise and carefully written piece so it wouldn't fall prey to so-called contempt of court rife. Well explained facts! The populist tendencies of people misusing their positions of authority to damage due process and procedures has increased alarmingly. Well written. A rushed audit will not be worth the paper it is written on. The CJ must be cognizant of the unreasonable expectations he is raising. It is not just Railway, corruption has eaten up mega public sector corporations like NDFC and PICIC. @Tajammal Agreed upon that Balor established his transport companies in the country and destroyed Pakistan railways. But PPP govt.was so involved in corruption that could not notice and encouraged him to continue the destruction of railway.